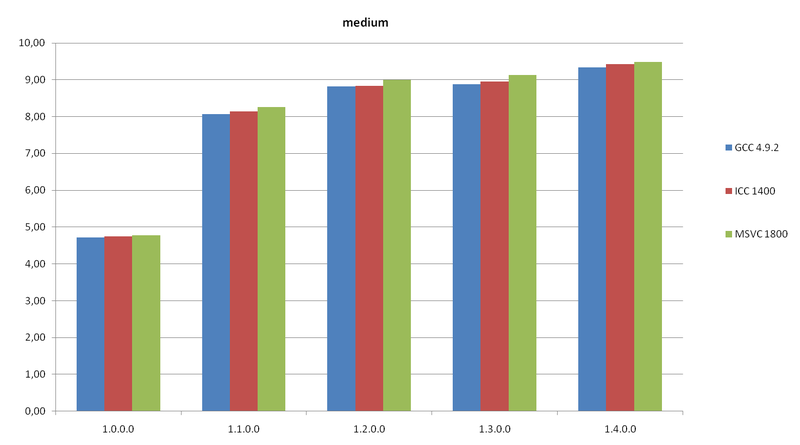 We did some testing to assess progress in the development of codec x265. How encoding rate was changed for different presets from version to version? Testing was performed on the following config: Intel (R) Core (TM) i7-4930K CPU @ 3.40GHz, 32 GB DDR3. 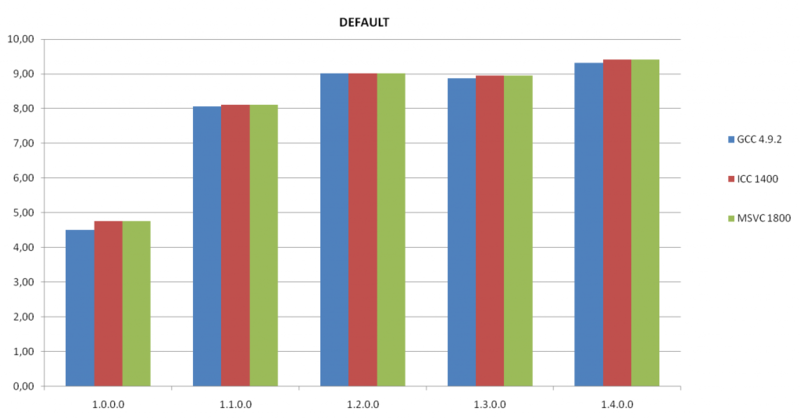 We encoded the same test video file (1080p @ 25fps) on different presets and measured the average FPS. 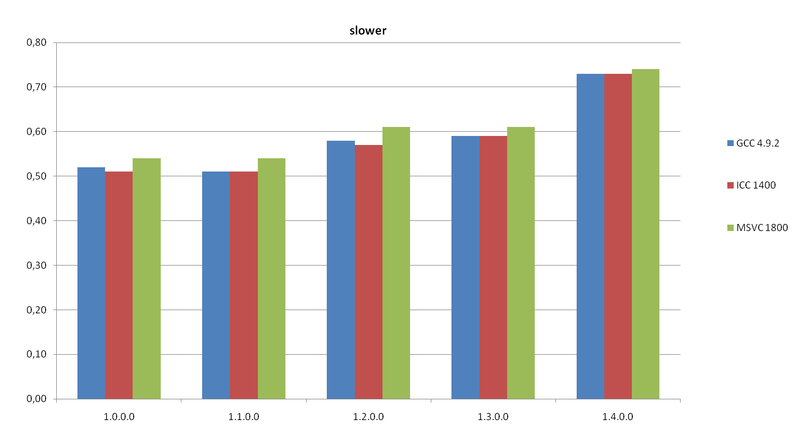 1) Encoding speed in version 1.4 compared to version 1.0 has increased x1.5-2 times. 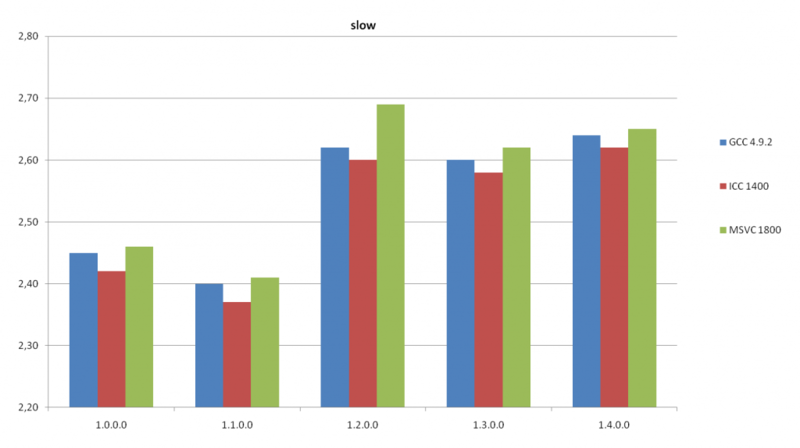 2) Powerful computer still fails to encode in real time, even on the fastest presets. 3) Preset medium is optimal for coding. 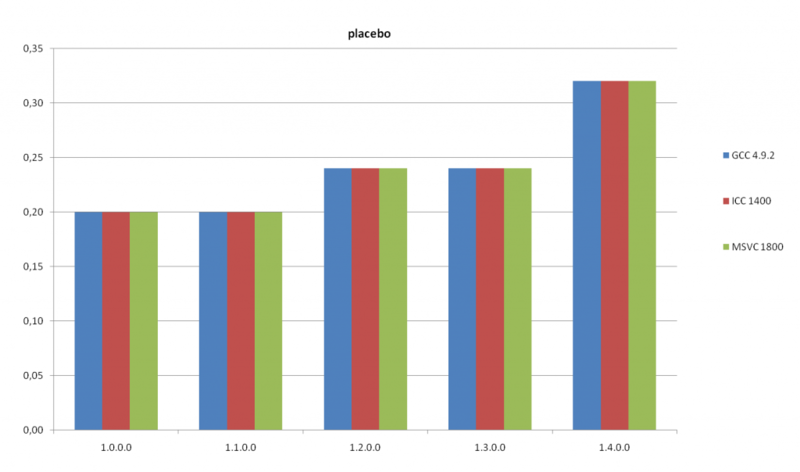 Much faster than slow, placebo, etc. 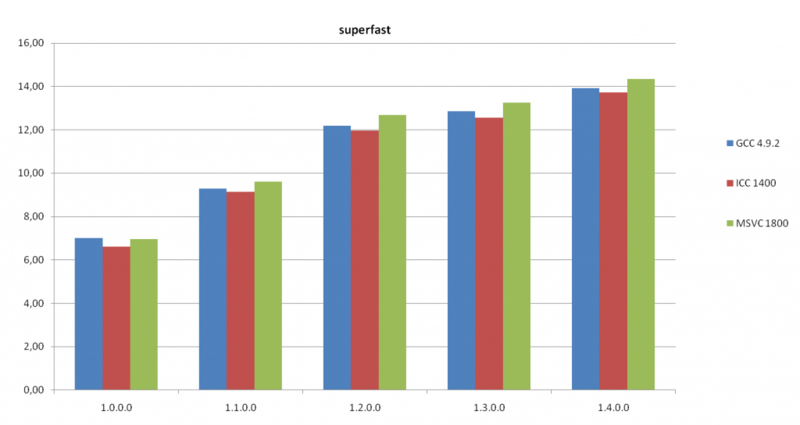 and not much inferior in speed even with ultrafast. 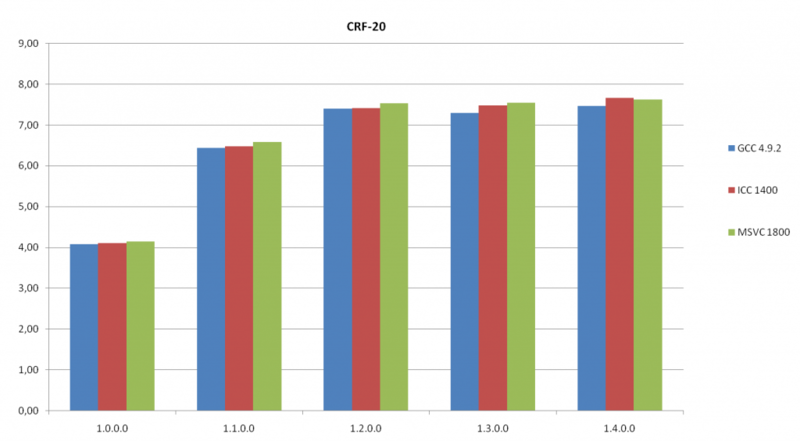 4) The difference is not significant, but on the test stand the fastest x265 assembly was made with Microsoft Visual C.
А есть ли преимущество, если собирать в ICC только под данный ЦП? Если да, насколько оно выражается? I use preset medium for my encode on 4K and it’s the best preset you can select. 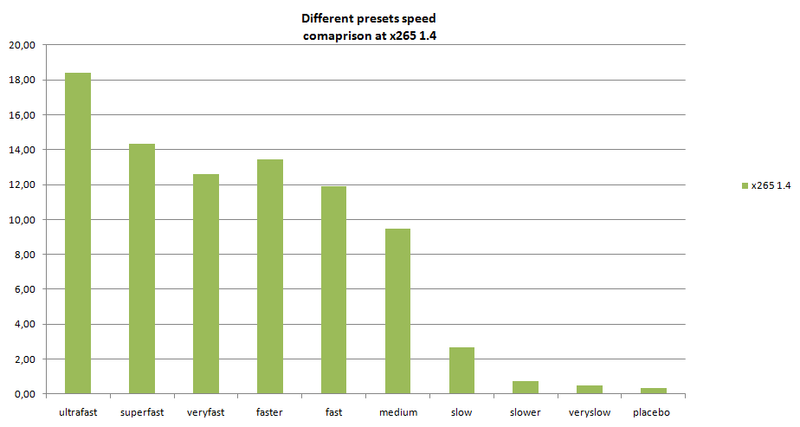 Even with an 8 cores, 12 MB of cache, speed isn’t good enough, but, in order to perform an encoding without becoming old, preset medium is the best option: not so different from “fast”, but much more faster than “slow” and the final file size of slow preset isn’t worth it compared to the medium one. 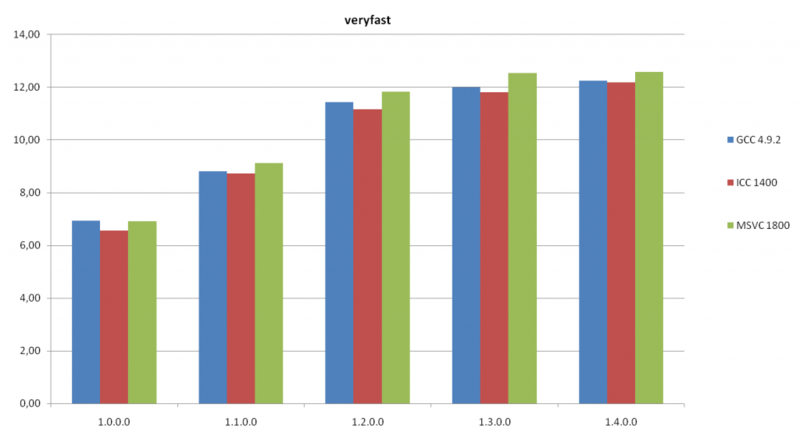 Real-time encoding using a standard computer (e.g. 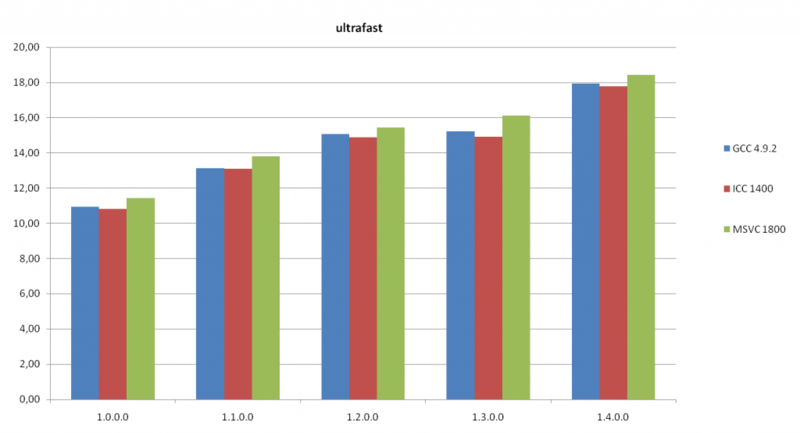 i5) IS possible using the ultrafast preset. This is only possible for low bitrates according to my tests. 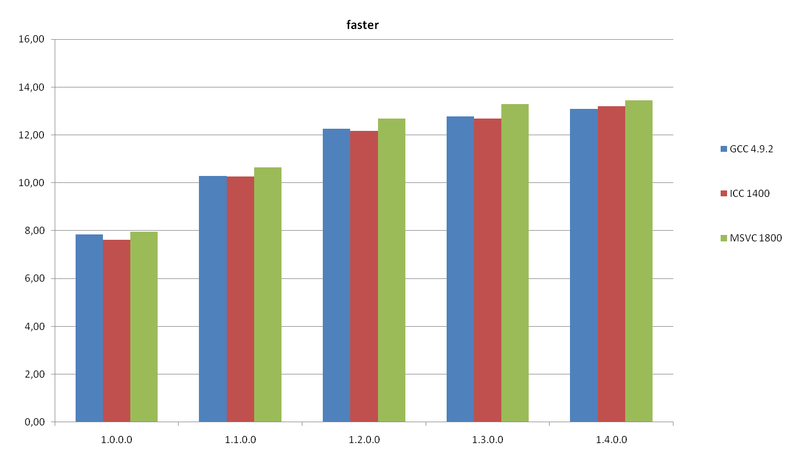 x265 needs 2 Xeon Sockets for real time encoding (Ultrafast Preset) in some cases. It depends on what test sequences you are using, complex sequences are very time consuming. 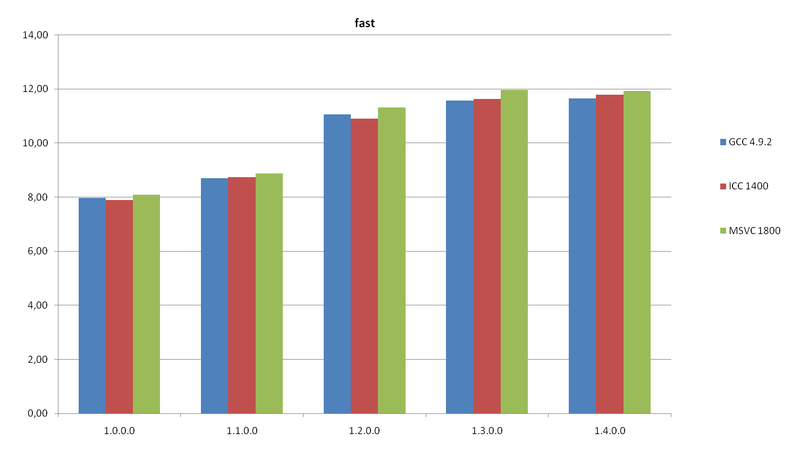 But results for fast moving scenes are really much better then x264. Want to see more video coded at 64kbitps on internet. Great test. Thanks for sharing. Even though it’s dated by now, still some good info here, but the report doesn’t indicate the resulting file sizes. It’s not possible to make a cost-benefit analysis decision only knowing the cost (enduring a slower frame rate) without the payoff (how much smaller the resulting file size is). 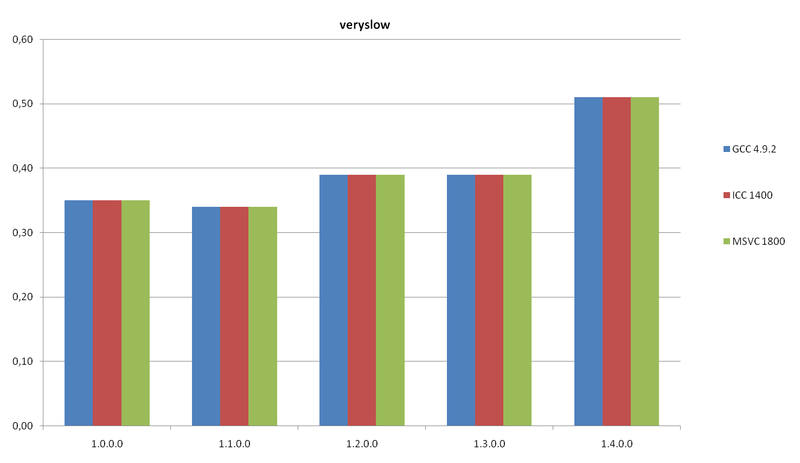 There’s a big cost going from “medium” to “slow” preset, but no indication as to how much it reduces the file size. The other thing to note is minor – axes normally are labeled. In this case, it’s not a big deal because it’s not too hard to deduce them (“frame rate” and “version”). I’d be interested in seeing the results for newer versions (I think 1.9 is the latest at this writing).